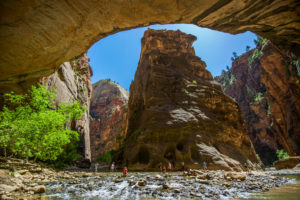 On June 1, the Utah state office of the Bureau of Land Management (BLM) released a decision to defer three controversial lease parcels in direct proximity to Zion National Park. Developing these parcels, totaling 4,730 acres, for oil and gas would have had direct impacts on recreation around the park and the surrounding communities. 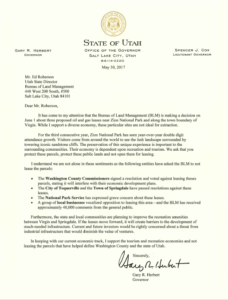 This decision to defer the leases resulted after opposition from Washington County Commissioners, the municipalities of Toquerville and Springdale, the National Park Service, a group of local businesses, and over 40,000 comments from the general public. Another issue with the proposed leases has been the proximity to the town of Virgin, which has plans to build up its recreation infrastructure right next to one of the proposed leases. The development of the leases would cause significant barriers to the growth of the town’s recreation assets. 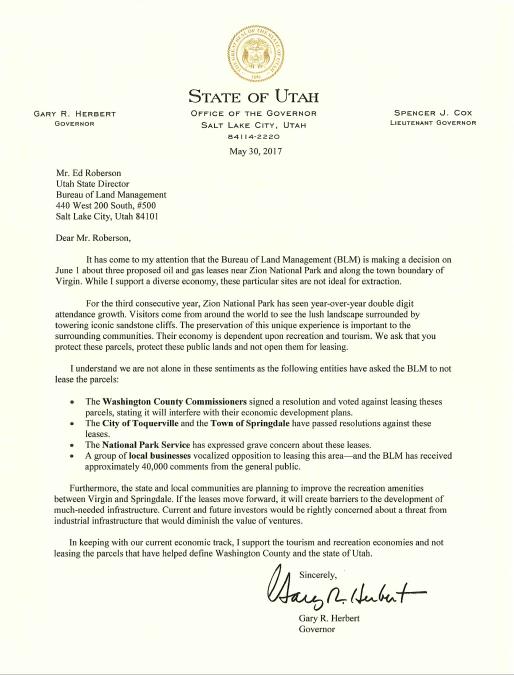 More information can be found at https://www.blm.gov/press-release/blm-posts-proposed-parcel-list-september-oil-and-gas-lease-sale.